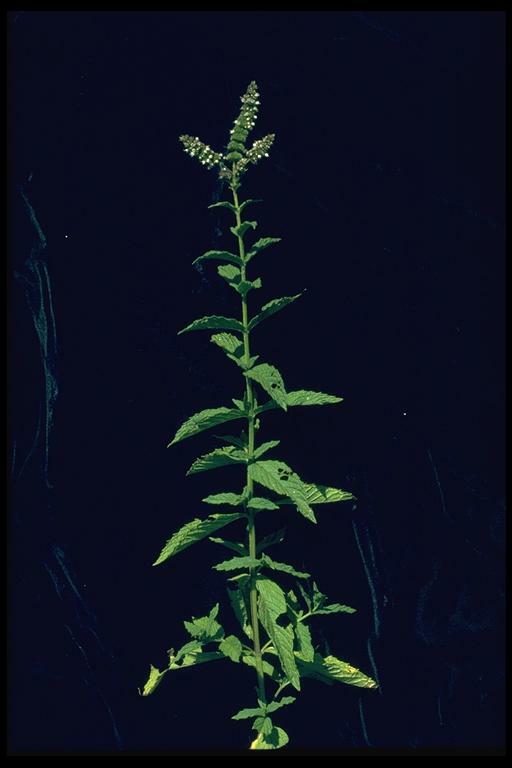 Mentha ×piperita, a dicot, is a perennial herb that is not native to California; it was introduced from elsewhere and naturalized in the wild. /app/up/cbo/25/th/5026.jpg:!6205 3041 0702 0096:! 2012 Daniel Gluesenkamp:!1995 Saint Mary's College of California:! cbo5026:! :!